Having car insurance is very important when you do own your own car. It is a legal requirement to anyone who does drive a car. 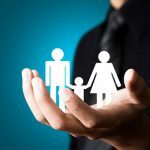 The purpose of it is to cover you from small things such as losing your car keys to bigger things such as personal accident claims and motor legal coverage. Whether or not you are travelling or just staying in your hometown, it is beneficial and very important to always have car insurance. Here are the advantages of having car insurance while travelling. But take in mind that even if you aren’t travelling these benefits included. One of the major benefits of having car insurance is the economic safety net that it gives for people. Since many individuals in our society today live pay check to pay check, when emergency situations come that involves a lot of money for the car, it is challenging to figure out a way to pay it off. Auto accidents are the type of emergency situations that can drain your bank account. Even if the accident is minor without someone being injured, the cost for paying for the other person’s vehicle (if it is your fault), could cost close to thousands of dollars, depending on the damage done. That is the reason why it is better to pay a monthly fee that is within your budget so you don’t have to encounter difficult situations without insurance. This is vital when you plan on travelling because you never know what will happen on the road. With car insurance, in times where you happen to lose your car keys or if you need a minor repair on your window shield or other parts of your car, it could be done. 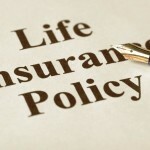 But make sure that before you sign any legal documents, that you know what your car insurance covers. Ask if they do cover the minor repairs. Another good advantage of car insurance, is you will get the convenience to access a courtesy car from prestige car rental places if ever there is an event that your car is being taken away for any type of repairs or any situation where you are unable to drive. Depending on your car insurance company, you can choose from a variety of luxury car rentals depending on what your car coverage agrees on. This is a professional who can fairly legislate any payments and responsibilities in an event of a car accident. They will investigate the details of the car accident and determine who is at fault and who should be paid. This is vital because you need someone to fairly judge the situation and without insurance, these professionals could costs a lot more money than you expect. Probably the most important benefit of having car insurance is if you injure someone else while driving and you are obligated to pay for his or her medical bills. Having car insurance while travelling to far distant places or just to the local grocery store is important because in situations where you do get in a car accident and you injure someone else with your car, the insurance company will help you tackle any financial or legal issues that might come from the car accident. The bottom line of having car insurance is it basically offers several advantages for car owners. If you don’t have car insurance as of the moment, maybe you should think about what benefits it could bring you in the future. It is always to be safe than sorry and it is always better to be prepared for emergency situations because you never know what will happen. 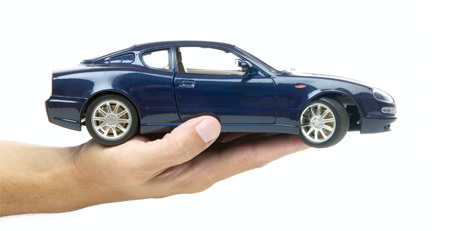 Car insurance has its long term benefits that would cover the expenses you pay for monthly. Prestige Luxury Rentals has been in the business of making dreams a reality for almost a decade. If you want rent an exotic car for the weekend, you’d be surprise on how we make things simple. Get in touch with Prestige Luxury Rentals and we’ll give you a quote very easily. We’re present in major cities including West Palm Beach exotic car rental Miami.